Jodie Lane is an enthusiastic historian, combining her love of travel and adventure with fascinating stories from the past. 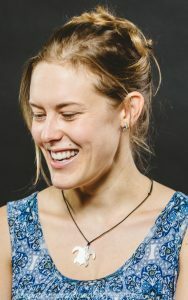 Brisbane based, she studied a variety of modern history at the University of Queensland, and loves to read a wide range of historical and science fiction. The Siege of Masada is the first novel in the “Turning Points” series—a time travel adventures series visiting pivotal historical events and exploring an exciting new future for humanity. Transylvanian Knight, To Kill An Emperor and Renaissance Woman follow with Heart and Stomach of a Queen due out in 2019. There are various Turning Points short stories including “Siege of the Heart” and “A Soldier’s Love” also available online. “The Job” and “Naughty Zombies” are additional works, found in the Australian Pen anthology Obliquity: Stories of a Tilted Perspective, with “The Time-Traveller’s Date” (A Turning Points Short Story) in Australian Pen 2: Futurevision, and “The Voice” in Australian Pen 3: The Evil Inside Us.